"We're trying to create an environment [where the user] Feels better about investing online than offline." DarcMatter is a global fintech startup that provides investors with direct access to funds in the alternative investment industry. The client sought to increase user engagement in order to increase their conversion rate on investors completing due diligence and on investors indicating investment interest on the website. For this project, I worked with two designers and oversaw research, user interviews and presented our findings to the client. While the team had nominal knowledge about the alternative investments industry, there was much needed exploration of the topic. We wanted to understand the problem beyond the scope of what the stakeholder had provided. The team conducted 7 interviews of investors, hedge-fund managers, wealth managers, and investment bankers. We surveyed 4 fintech startups in the same space to assess other products in the marketplace. Once we understood the investment space, we were able to articulate how the platform was disrupting a three part system. There were investors, advisors, and issuers, all whom relied upon each other to complete high valued transactions. The web platform sought to cut out the advisor, the part that provided trust between the other two prongs. In an industry where there are high-risks and high minimum investments starting at $500,000, the web platform had to assure its users in the space of the advisor. After a heuristics analysis, we found some of the most successful competitors had established trust immediately by had readily accessible information; most importantly, from user feedback, different modes of contact. Google analytics of the current site traffic revealed that most users landed on the homepage, followed by “Browse Investment” and then the “Dashboard” page. Users, however would jump to the about page after this flow. We understood that users were seeking more information before completing any tasks. From this analysis we also understood that the home page to "Browse Investments" page drop-off was significant. 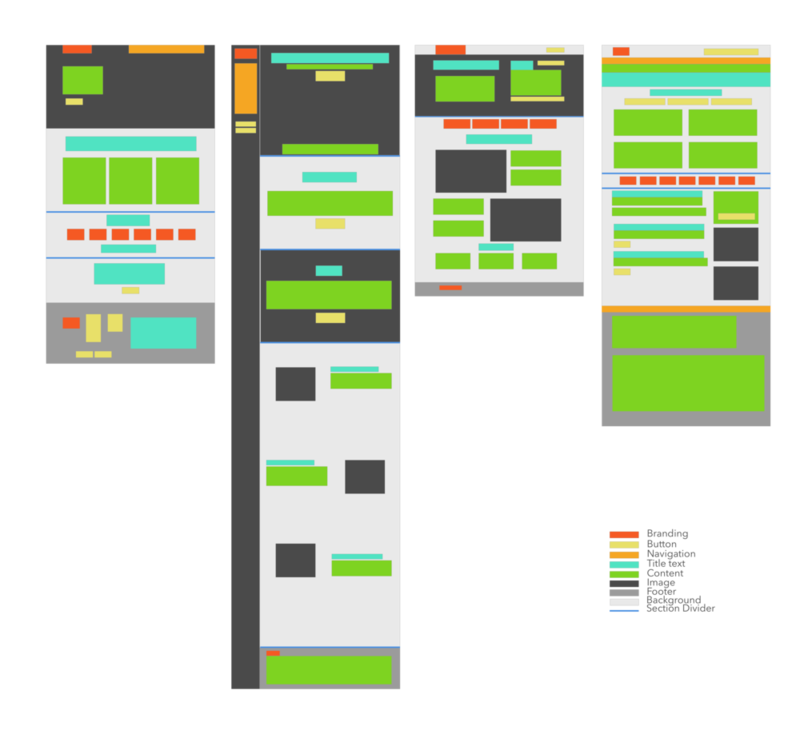 In order to capture the user, the homepage needed to contain all the information the user needed to move forward. The client wanted to broadly address the issues and did not see value in clearly defining the user. The team decided to challenge this notion by providing personas based off of our user interviews. This process actually had an impact on the clients. They were persuaded of the importance of user exploration in order to create impactful solutions. The team targeted specific flows that users found problematic during testing to redesign and drew out features that were viewed as being valuable. During this process, we were able to target copy that would improve the user's trust in the product. We A/B tested with the Dashboard page, using just the simple change of terminology "pre-money" to "current value", there was a 20% increase in the amount of users were willing to invest. We also focused our efforts in testing how the information architecture should be organized. Through card sorting and asking users for feedback while tasking scenarios, we were able to understand that the ABOUT section needed to be prominent. Our team identified 4 areas of improvement and was able to reduce the sign up process from 8 to 6 steps. 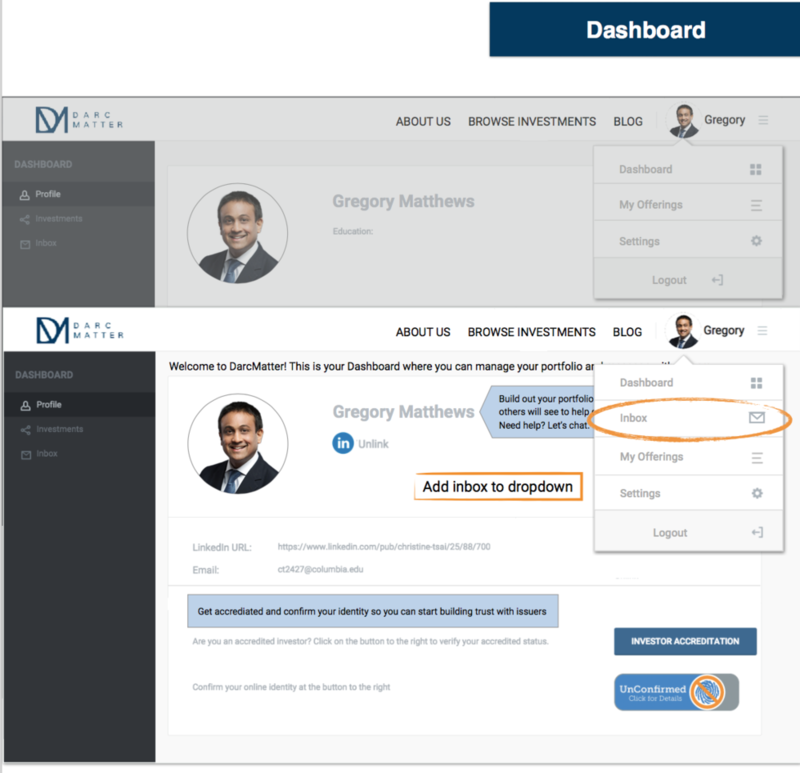 The new version incorporates an informational survey and prioritizes the browse investment page over the dashboard page. After user testing with 15 users, we found that a simplified user flow and clarity in copy increased users interest in completing their due diligence. The biggest impact the team had on the company was emphasizing the importance on understanding the user. Their enthusiasm for the survey and usability testing allowed for the team to justify clear and simple site instructions and an increase in signifiers of credibility. The usability tests for our prototype indicated higher rates of user engagement.